← UNESCO: Reprieve for Stonehenge WHS? The international body’s advice to the Government was to explore further options: a surface bypass to the south of the property or longer tunnel options “to remove dual carriageway cuttings from the property”. The “major stakeholders” referred to are presumably Historic England, English Heritage and the National Trust. Although Government can ignore UNESCO’s advice, doing so could lead to Stonehenge being placed on the List of World Heritage in Danger. This would not only bring international disgrace upon our country and those responsible for protecting our heritage, but also cause outrage amongst eminent archaeologists, historians, writers, architects, artists and a legion of thinking people throughout the world. Apparently, Mr O’Sullivan’s main concern is the Henge monument, already safeguarded on our behalf by English Heritage. He is, perhaps, unaware that the Stonehenge WHS extends over some ten square miles which the Government is committed to protect under the terms of the World Heritage Convention – along with its Outstanding Universal Value as expressed at the Site’s inscription in 1986. It is this wider Stonehenge landscape that contains huge potential for future research, a landscape in which the people who constructed the Henge lived, farmed and buried their dead. It is for the quality and magnitude of surviving evidence of the activities of our prehistoric ancestors over some two thousand years that this whole area is considered by UNESCO and, incidentally, the “major stakeholders” Mr O’Sullivan mentions, as a “landscape without parallel”. Should Orcadians not object to the Stonehenge Expressway? Commenting on the unpublished results of the consultation last spring, Mr O’Sullivan suggests that the analysis will be characterised by those who are in favour living near the A303 versus those who object living elsewhere. Neither Orcadians, nor lovers of heritage, locally or around the world, would deny that steps should be taken to improve local people’s quality of life, but not by damaging an internationally important heritage site. 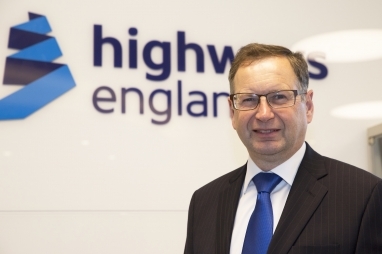 We might also point out that Highways England’s proposal to widen the road is a £1.4bn short term solution that takes us back to the vicious circle of road building in the 1980s when environmental vandalism such as that seen at Twyford Down was common practice. Road widening might achieve traffic relief for a decade or so, less if it is promoted as an alternative route to the M4/M5 to reach the South West from London and the South East. Further, when incidents caused closure of the new dual carriageway or tunnel there would be misery for many local villagers. If Highways England thinks it perfectly acceptable to dig up great swathes of a World Heritage Site against the advice of UNESCO what hope is there for our heritage? Is nothing sacrosanct? What Mr O’Sullivan needs to weigh up is whether it is better to damage a WHS for ever and suffer international disgrace on the one hand, or to follow UNESCO’s advice and properly reconsider the proposal on the other. Either way, the eyes of the world will be watching, including people who live in Orkney and value their own Neolithic WHS and its emerging links with Stonehenge. We would like to thank Local Transport Today for giving us permission to publish their article. Please consider supporting our petition to prevent further damage to the Stonehenge WHS.